And y’all… my mind was blown. That’s gonna stick with me forever. 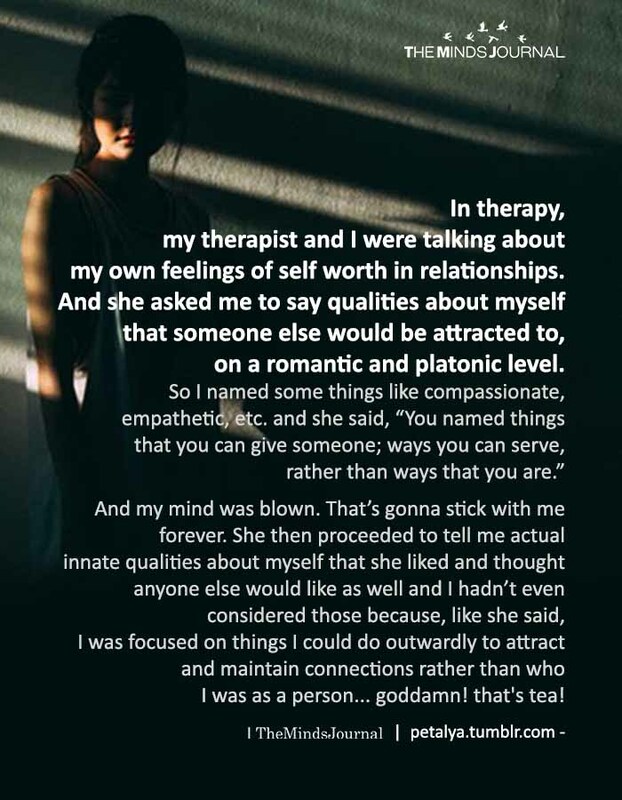 She then proceeded to tell me actual innate qualities about myself that she liked and thought anyone else would like as well and I hadn’t even considered those because, like she said, I was focused on things I could do outwardly to attract and maintain connections rather than who I was as a person… goddamn! that’s tea!